-Do you lose time from work due to your *insert activity here*? -Is *insert activity here* making your home life unhappy? -Do you *insert activity here* because you are shy with other people? -Is *insert activity here* affecting your reputation? -Have you ever felt remorse after *insert activity here* ? -Have you gotten into financial difficulties as a result of your *insert activity here* ? -Do you turn to lower companions and an inferior environment when *insert activity here*? 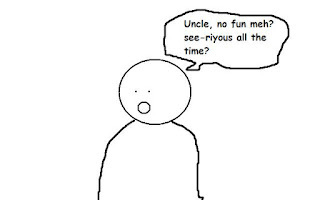 -Does your *insert activity here* make you careless of your family's welfare? -Has your ambition decreased since *insert activity here* ? -Do you crave a *insert activity here* at a definite time daily? -Do you want a *insert activity here* the next morning? -Does *insert activity here* cause you to have difficulty in sleeping? -Has your efficiency decreased since *insert activity here* ? -Is *insert activity here* jeopardizing your job or business? -Do you *insert activity here* to escape from worries or troubles? -Do you *insert activity here* alone? -Do you *insert activity here* to build up your self-confidence? -Have you ever been in a hospital or institution on account of *insert activity here* ? If you answer yes to one question, it is a warning for potential addiction to that activity. If you answer yes to two questions, it is likely that you are an addict. If you answer yes to three questions, it can be assumed that you are addicted. Please contact us for a more comprehensive assessment." This test was written at Johns Hopkins University to assess for alcoholism and drug addiction. But i think that it could equally apply to other forms of addiction, which i will describe later. Why is this a crucial issue? 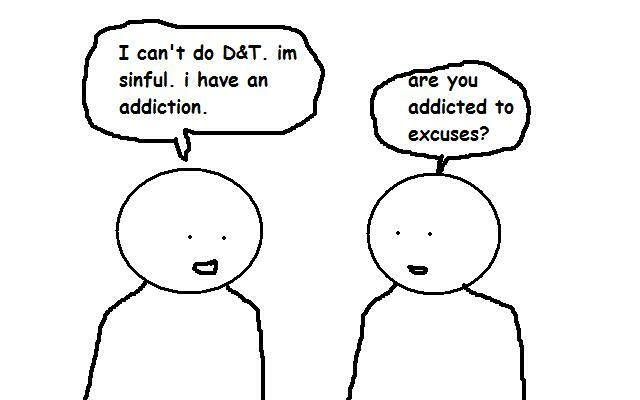 because in my limited experience, one of the biggest hurdles for people starting off in D&T is overcoming addiction. 3) a caller to islam who has an addiction sets an erroneous example to the people he is calling. 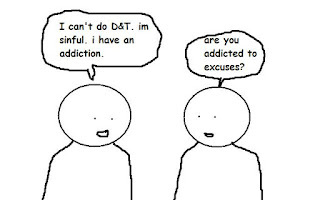 4) even if you are not doing D&T, having an addiction is bad anyways. bad for your mental state, bad for your health, bad for your social relationships and so on. The Quraisy also had addictions. They did not want to leave their addiction to idols, to power, to money, to all the bad habits that they had. Today we also have addictions. The stone idols may be gone, only to be replaced by new forms of addiction : to games, to the TV, to obscene materials, to our own opinions, and so on. We know our own addictions. The fact of the matter is : we love other things more than we love Allah. when a friend of mine understood his purpose, he didn't want to waste time anymore, and threw all his CDs into a bin. when you love Allah, breaking free is easy. find people who are likely to be your neighbours in heaven. we have lots to do: updating blogs, going to circles, memorising the quran, reading books of seerah, reading our school books, meeting people, catching up on news, blablabla..there's no 'idle time' in the dictionary of a muslim. takdelah borak dakwah je sepanjang masa. lol. Only now our fun and entertainment serves a higher purpose : to call people to islam. 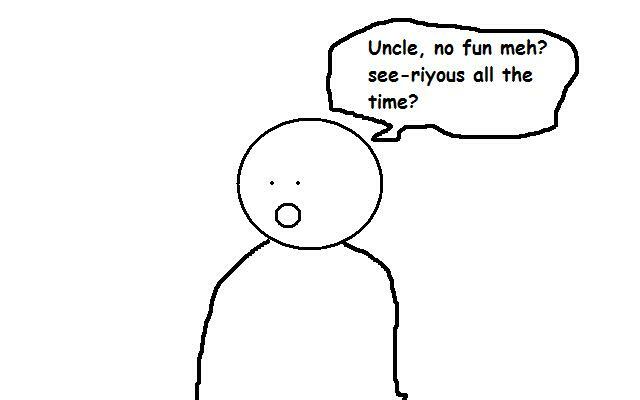 No more fun just for the sake of fun. Warning : breaking free is not easy. It will probably take some time before we are purified. Just like drug addicts checking into rehab, we will probably relapse at some point. But remember the words of maher zain : "don't despair, and never lose hope..cause allah is always by your side.."
Because your blog remind me of Him.